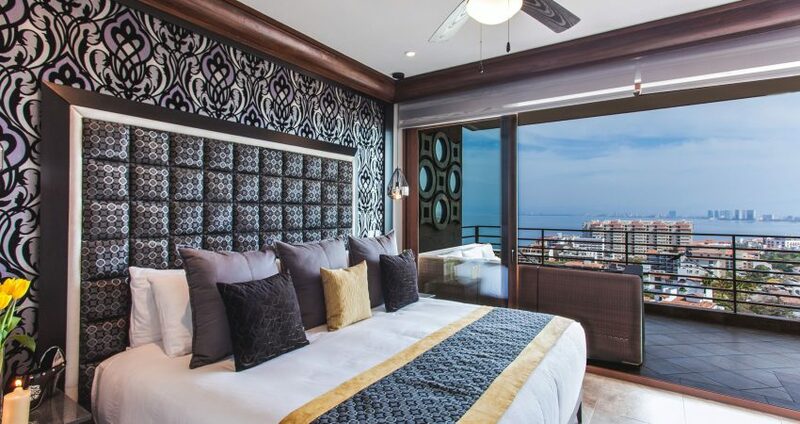 Ideal for family vacations or group travel, this luxurious 3-bedroom suite offers a spacious stylish retreat in the heart of the Puerto Vallarta Romantic Zone. 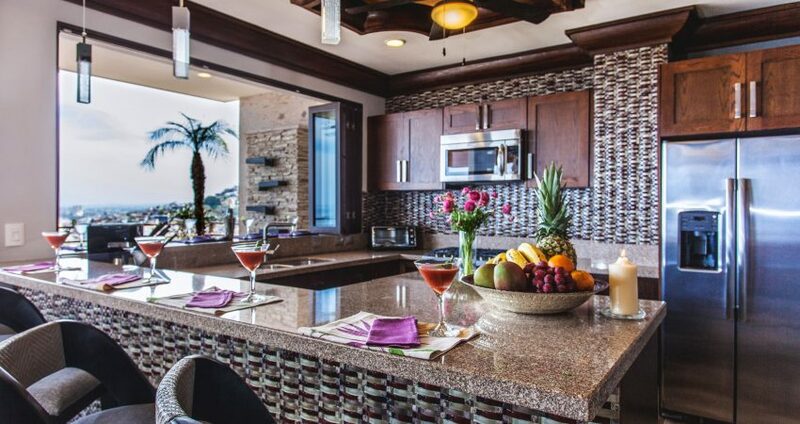 Enjoy gorgeous views from the ample terrace which includes an outdoor kitchen and dining area perfect for casual nights grilling with friends, a separate bar off the kitchen area, 2 x 46” inch TV´s in the living room and kitchen area, 3 x 32” TV´s in each of the bedrooms with their own receivers. 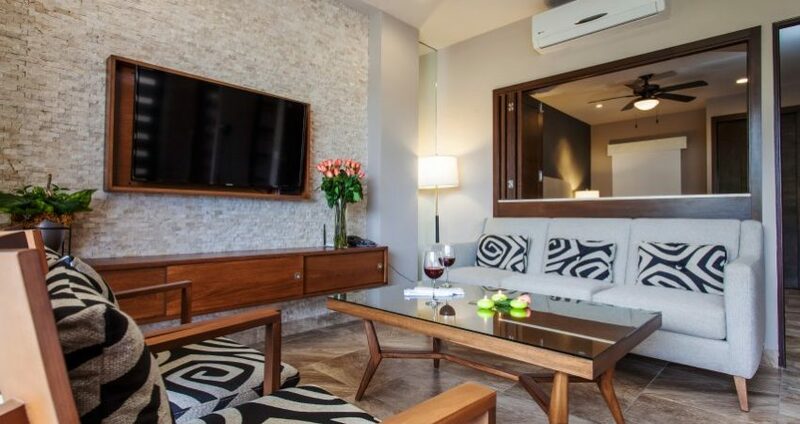 This incredible luxury suite is both ample and elegant. 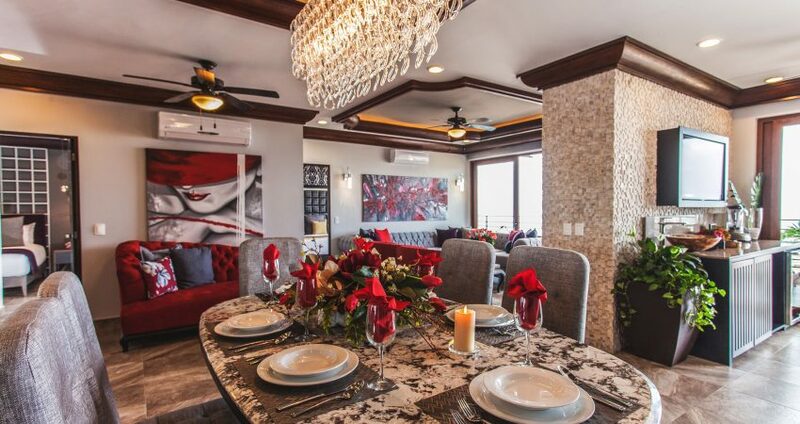 As the owner suite 501 at Pinnacle Residences, we’re a little biased. That said, we think anyone staying at our place will be VERY comfortable. 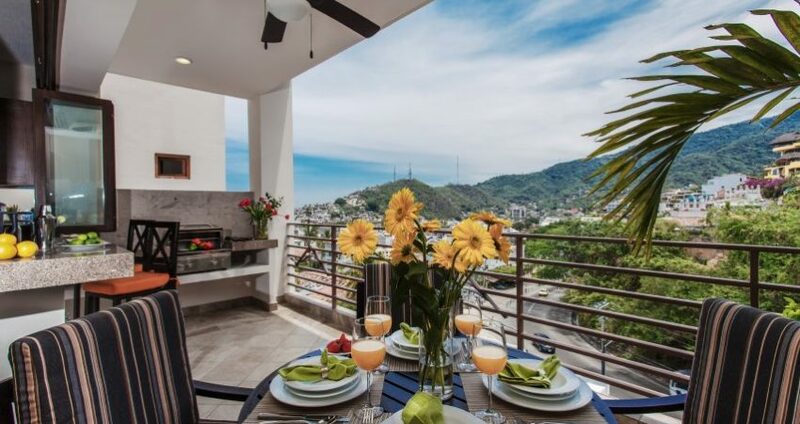 Located in the charming Puerto Vallarta Romantic Zone, the heart of the city’s shopping, dining and entertainment district, we are close to all the city has to offer. We’re just two short blocks from the iconic Los Muertos Beach where visitors find restaurants, beach clubs, bars, and activities, including wave-running and parasailing. Walk to the iconic Los Muertos Pier to hire water taxis to transport you to the scenic and secluded south shore beaches. You’ll be very happy with your choice to stay at our place! Super luxurious and beautiful! The pictures don’t do this gorgeous apartment justice. 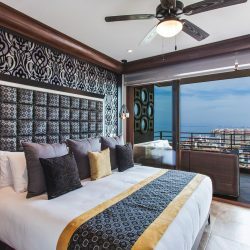 My boyfriend and I stayed here recently on our first trip to Puerto Vallarta and were thrilled with this modern gem ; located in a very charming part of the city. Everything we were looking for: beach, dining, shopping, was within walking distance so staying here was very easy and convenient. Each spacious bedroom has it’s own bathroom making this place ideal for couples or families. It was nice to have so much outdoor space on the sprawling balcony; where we had the best views. One of our favorite parts of our stay was the rooftop pool, we enjoyed the stunning PV sunsets and fun vibe, while cooling off with drinks. Wonderful service and very friendly staff. My boyfriend hasn’t stopped talking about our stay here and we both highly recommend! Stayed here in May for 6 days and it was absolutely PERFECT. 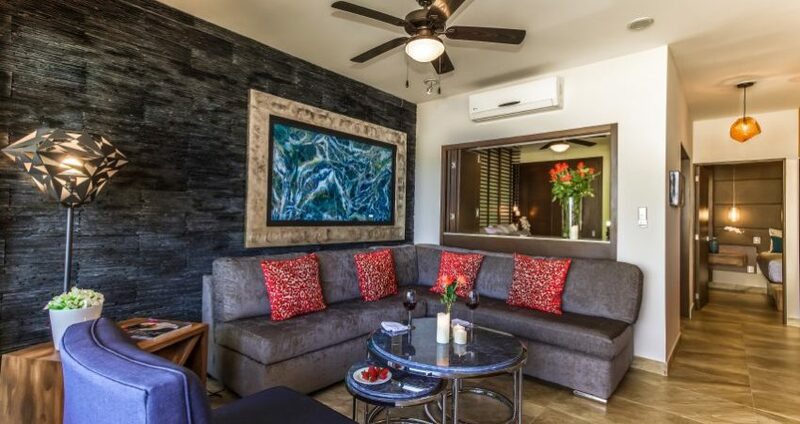 This suite is beautifully decorated, immaculately clean, and wonderfully homey. 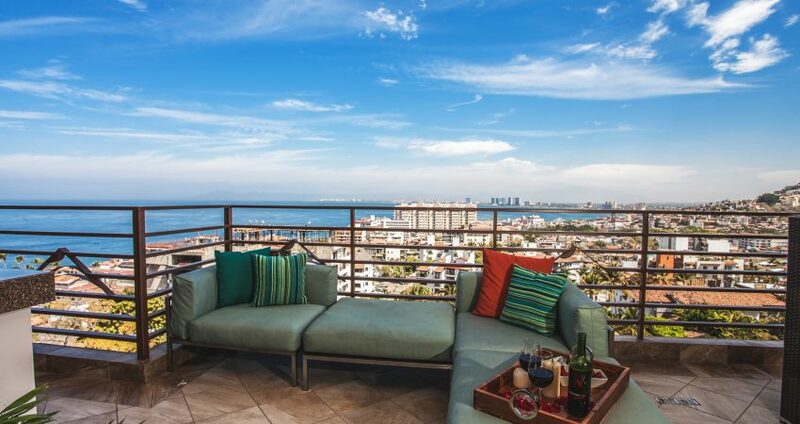 The deck looks out over the city and the water, and in the evening it’s just about the best place to watch the sunset in PV. Pinnacle is also surrounded by the best tacos I have ever had in my life (you have to try the al pastor at Pancho’s!!). The rooftop bar is also so much fun, I still remember the taste of their cucumber margaritas! The staff is also so kind and helpful. They hooked me up with a friend’s surf group and we went on a paddle tour of the southern cliffs. On the way back, we stopped at a little dive corner store (about five minutes from pinnacle!) and I was introduced to the PV michelada. Sort of like a beer Bloody Mary, but a lot of lime juice and served with a bowl of shrimp, cucumber, dried banana, tajin spices and whole host of other fresh fruits and veggies. An absolute must. Truly an unforgettable experience. Paul and Dean were so accommodating, when I come back to PV I know I’m staying here again! LOVED the place. It worked perfectly for our group! It’s really quite large which meant we all had our own space and weren’t on top of each other. The position is incredible – right in the middle of where we wanted to be – and yet, there was no noise since we were up so high! The views are killer by the way! And, the way the place is furnished makes it feel like we were staying in a really beautiful resort. Loved it! We will definitely be back!!!! 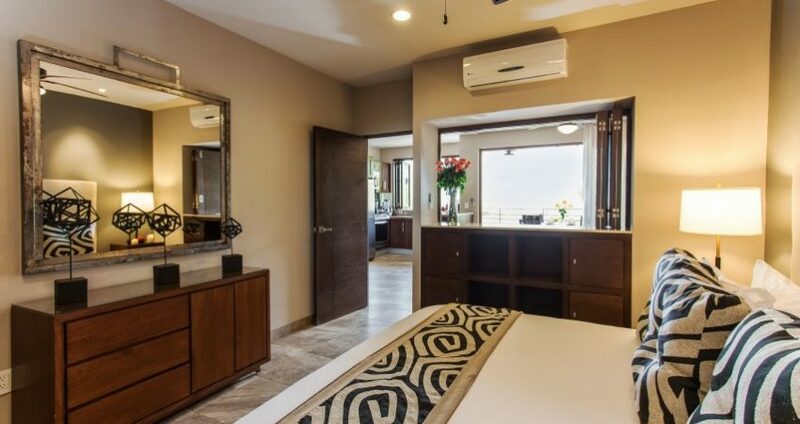 It had been a very long time since my previous visit to Puerto Vallarta and when I walked into this fantastic vacation home I realized I would be coming back a lot more often. 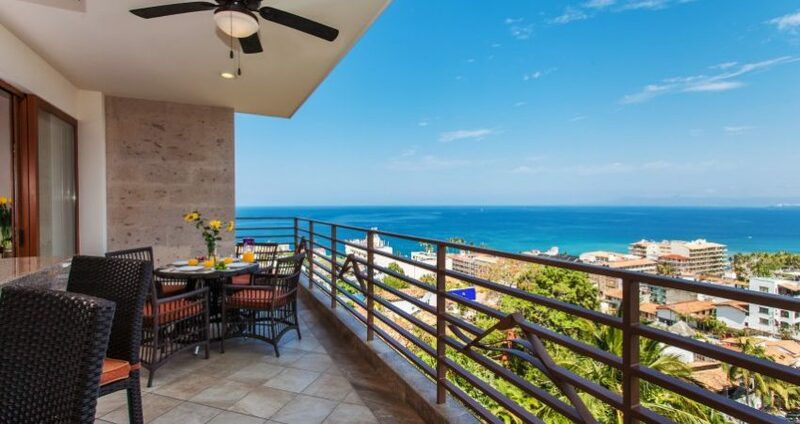 The view from the balcony is unparalleled and the huge 3 bedroom, 3 bath apartment is very nicely furnished. ; everything you need for at home entertainment is there. After I unpacked my bags I took a quick ride up to the rooftop pool just to have a look and I ended up staying for several hours after I dashed back to change into my swimsuit. It’s very relaxing and the staff are super accommodating and attentive. This place is located just above the town and beach so everything you need is within walking distance. 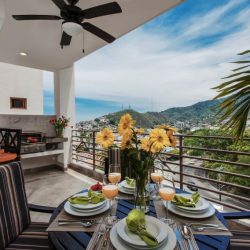 If you haven’t been to Puerto Vallarta lately there are so many great restaurants and shops etc and if you need any help finding something the locals are only to happy to help. 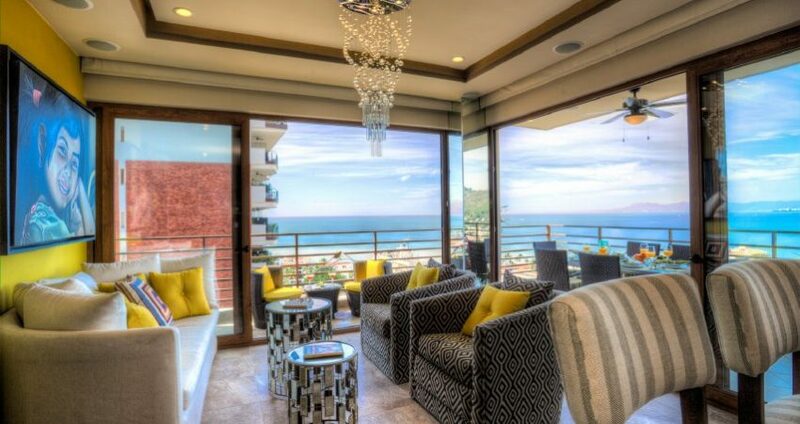 I’d happily recommend this stunning apartment to anyone planning a visit to PV; I guarantee you won’t be disappointed! 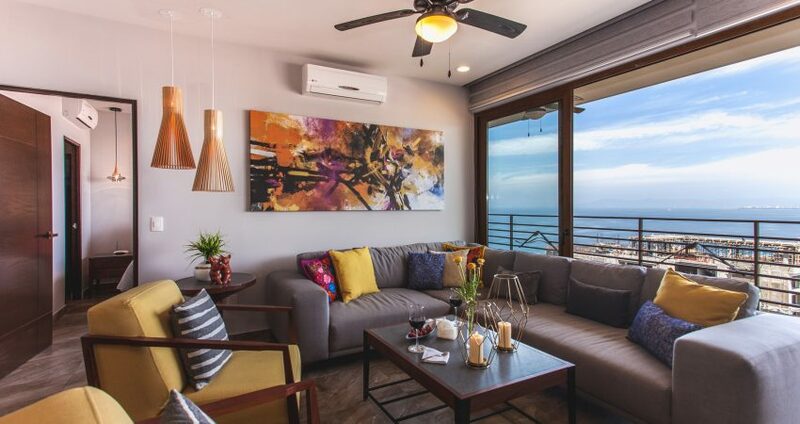 I didn’t have quite enough time to avail myself of all the activities from hiking to snorkeling to whale watching so I’m planning a return visit and plan on staying in Suite 501! OMG we had suuuuuuuuch an absolute superfantabulous time here during our stay in Puerto Vallarta! The space is fantastic, the view is incredible (stellar selfie opportunities), and the location could not have been more ideal. It made our stay super easy, incredibly fun, and most importantly, a beautiful vacation that we will never forget. Needless to say, we shall indeed be returning and I wholeheartedly and unequivocally recommend that you do as well. Could not be more impressed with this place. This was our first time in PV and it was simply an incredible experience. The staff is super freindly and helpful. The suite is AMAZING with spectacular views! It feels like home as soon as you walk in… comfortable, yet, stylish. Oh, and that rooftop pool – FANTASTIC!! You will not regret staying here at all. We can’t wait to return!! Had the pleasure of staying here for 5 days — highly recommend it. 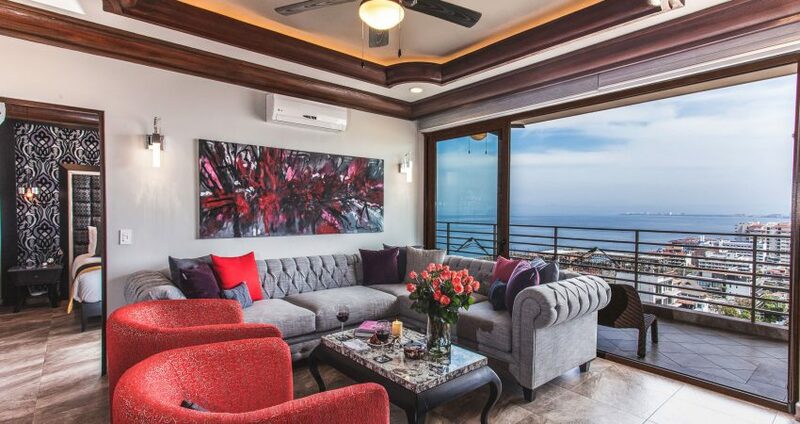 The location of the property is superb, up on a hill above the old town but still close enough to walk to everything — beach, restaurants, shops, bars. The unit itself is immaculate, well-decorated and has the most inviting terrace I can remember being on. 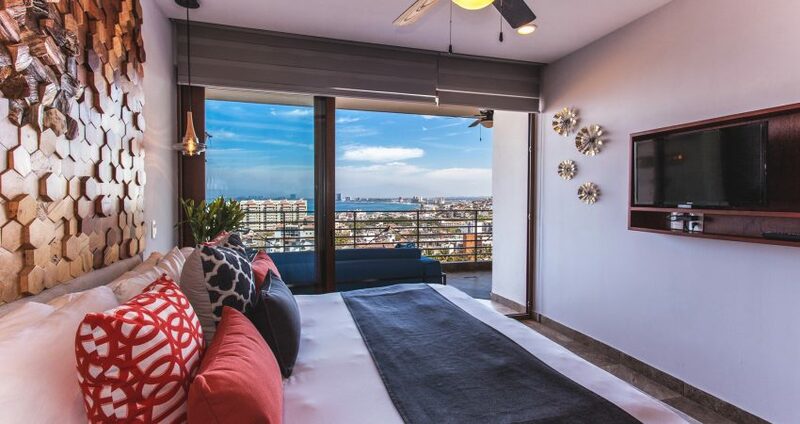 The view over the city and ocean is captivating, both daytime and nighttime. Dozing on the comfortable furniture there as the sun set was the epitome of relaxation. The owners were very accommodating and made things simple for us, and the staff in the building itself were courteous and helpful with directions, getting cabs, etc. The rooftop pool and bar are just an added bonus. I wouldn’t want to stay anywhere else in PV. 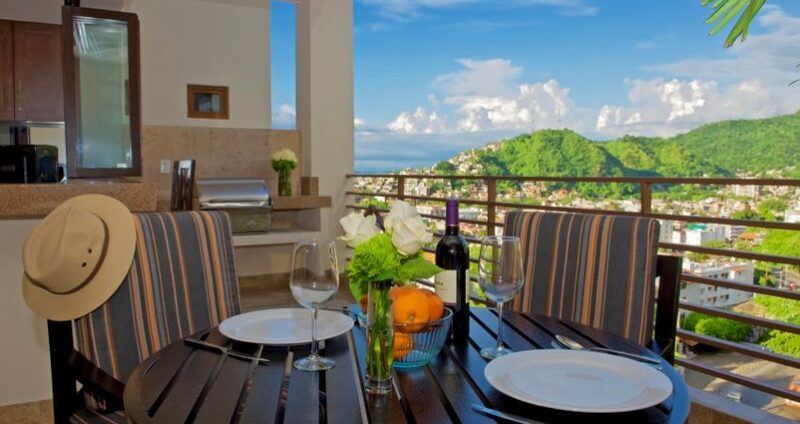 Beautiful home with one of the best views in all of Puerto Vallarta! 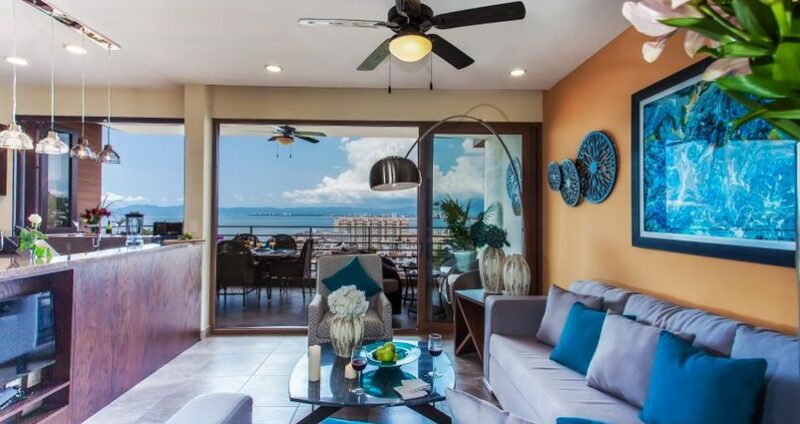 Huge open living room, kitchen, and patio that create the peaceful atmosphere you want on vacation. High up above the noise, but located in middle of the Romantic Zone near restaurants, night-life and the beach. And if you want to stay in, just take a nap on the patio or go upstairs to read a book by pool with 360 degree views of the city and mountains. You will love staying here!